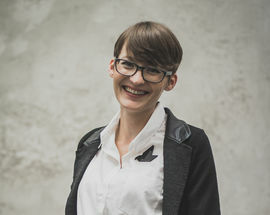 Iva Renčelj, the owner of TRGOVINA IKA. IKA? That’s an interesting name. Where does it come from? It’s actually my mother’s name. 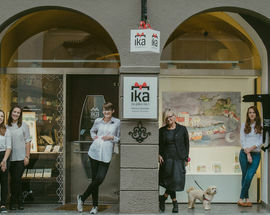 She founded the first IKA shop 25 years ago, all on her own. 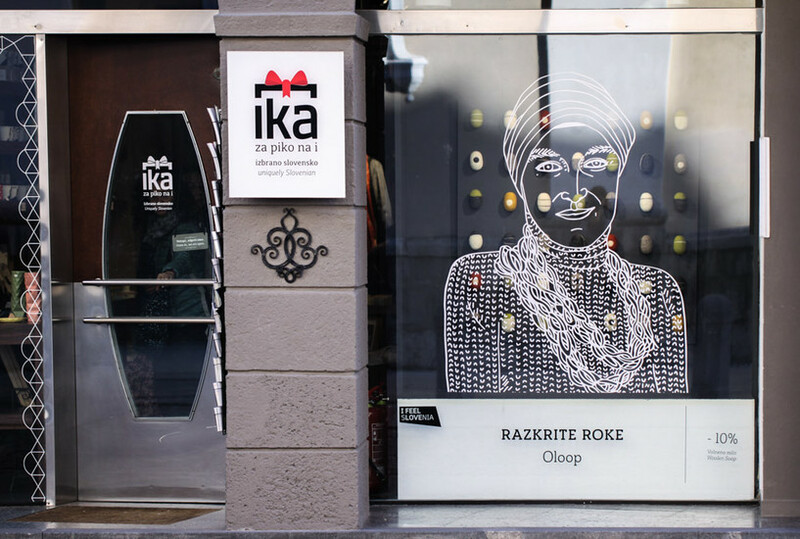 It was a different version of IKA as we know it today, but it was a beginning of a beautiful story. You run a business with your mum. That’s quite unusual. It would be really interesting to know how that works. Honestly, it’s not as easy as one may think, mainly because we are both very stubborn. We are, nonetheless, a perfect team of hard workers and visionaries. We both strongly believe in fair, safe business and are constantly looking for the “untypical” in our choice of the new arrivals. How did the business begin and what’s its philosophy? 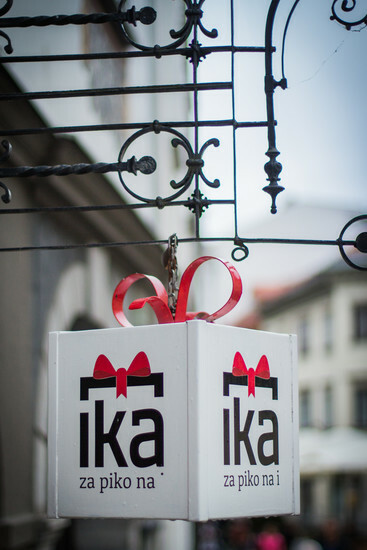 Well, the first IKA shop in Škofja Loka that my mom started with, had a very different assortment altogether. 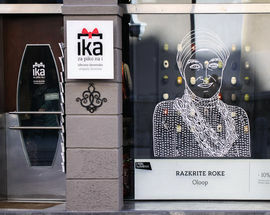 Throughout the years, her life somehow guided her to create a shop with Slovenian products only – she was astonished to see how breathtaking the creations of Slovenian handicraft can be. 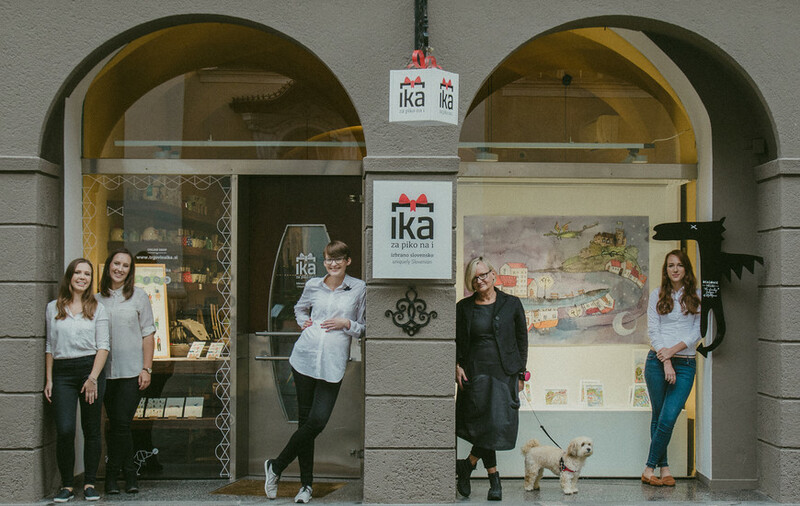 Meanwhile, we opened up a second shop in Ljubljana together as a team and it eventually became the primary shop (and now the only one, too). It’s essential, I think, for our company to always stay on track with what’s going on, to listen carefully what it is that people want to buy. And thankfully, it seems their taste is very similar to ours! The products have to be Slovenian, of course; that’s the main concept of our store that people are fond of. You’ve said before that you don’t like typical souvenirs. 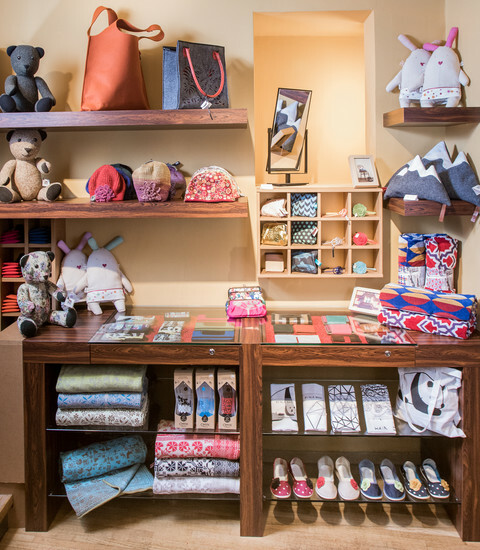 What’s your idea of a perfect souvenir? A practical one! 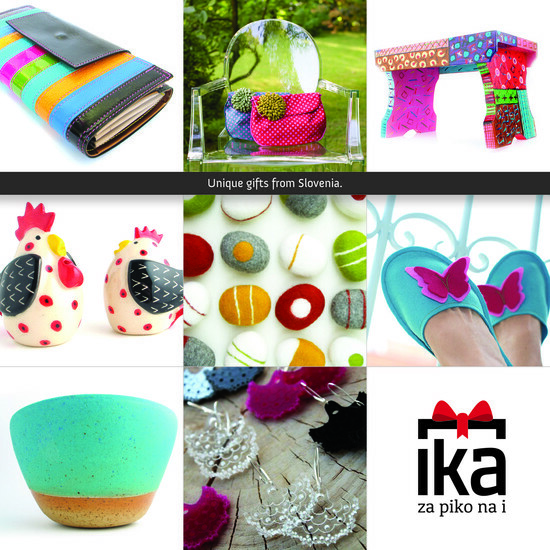 You would be amazed at how many ways the Slovenian culture can be incorporated into useful and functional items. 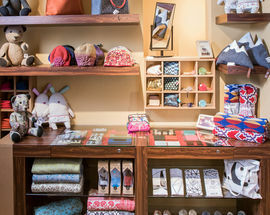 A hand knitted necklace, a bath towel with a pattern of Ljubljana’s secessionist architecture, a nice pair of wooden kitchen utensils – you name it. You’ve also mentioned before about your monthly window displays. They sound quite important to you. How do they work? They really do mean a lot to me; probably because I’ve seen them evolve and develop throughout all this time. So now, each month we invite a different designer or supplier to design a window display for his product. We take a look at its concept first to make sure it looks and functions well, but after that, it’s a green light for the author to get creative. The displays grow prettier and prettier every month! Are there any young local designers you recommend people keep an eye out for? Oh my, we have plenty of them and it wouldn’t be fair to point out only a few of them! What I love to recommend, though, is to look out of the box. It’s not necessary for the designer to be well known or established to be worthy of keeping an eye out for – he can be modest, without the fancy packaging; just with a product that is charming on its own. 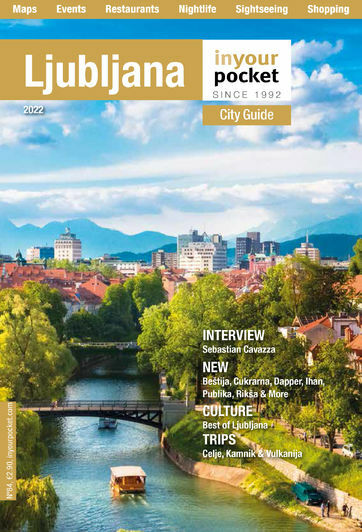 And finally, what are the three things you would recommend a first-time visitor see and do in Ljubljana? 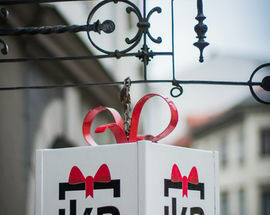 Three things you absolutely have to try in Ljubljana? One: You should drink at least one cup of coffee in one of the city centre’s cafés and observe the happening on the street. Two: You should experience the atmosphere on a Saturday morning at Ljubljana’s central market. And if you’re here in winter, by all means, get yourself a pack of roasted chestnuts and enjoy the scent of winter. And three: You need to smile because people here are surprisingly friendly and you are in a wonderful city.